I had to redesign one part of the loom last week, but it worked out very well. I found that Texsolv cord is quite expensive these days. So, I had to provide an alternative that would be more reasonably priced for the average weaver. Ordinary 1/8″ rope from Home Depot worked great. And, it cost less than $5.00 total to implement. It was like performing major surgery on the loom. 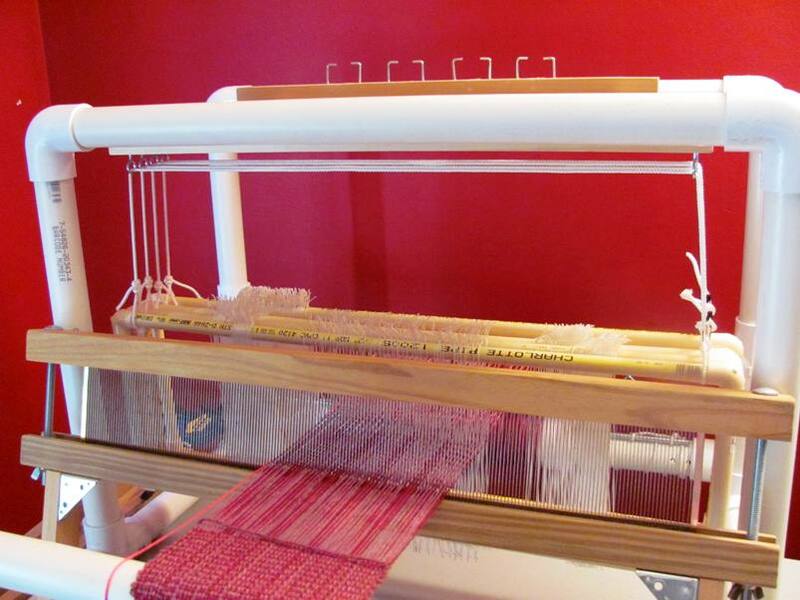 I had warped the loom a few weeks ago, which made reinstalling the harnesses very tricky. I also made the action board wider to place the harness ropes at the very ends. It’s a small change, but will make warping and moving heddles around much easier. 2 Responses to Getting closer . . . It looks great and the weaving looks awesome too. Thanks! 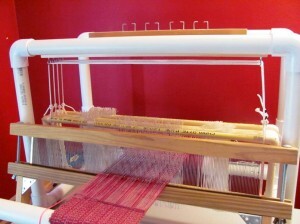 Believe it, or not, the weaving shown in the photo is the waste thread leading up to the actual project. I haven’t yet started the log cabin pattern. 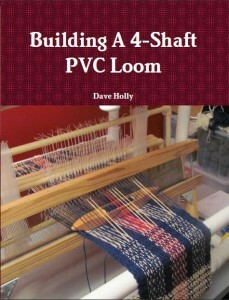 I’m waiting till I finis the book before continuing with the weaving. Once I weave the first 12 inches or so, I’ll post some pictures.